When it comes to storing your goods, we at Xtra Storage are here to offer the best-storing location for your products. Unfortunately, we cannot be there to help you when it comes to packing up your items we are unable to give you a helping hand. With that statement, we wanted to provide you with a little advice when it comes to knowing how to prepare your items for storage adequately. – Furniture should be cleaned before storing. Include the vacuuming of cushions as to remove any potential crumbs. – wrap cushions in plastic. – do not place furniture directly onto the floor, use plastic or material to cushion bulky items. – stack chairs seat to seat, separated by a piece of cloth or paper. – place a cover over all furniture, especially sofas, recliners, etc. 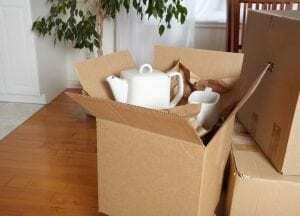 – utilize sturdy boxes for storing your fragile goods. – protect your items by wrapping them individually in packing paper. 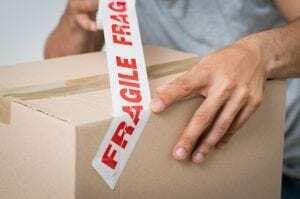 – sandwich fragile goods with dual layers of packing on the top and bottom of the box. – place plates, saucers, and bowls on their sides to prevent any breakage. – wipe the item with a few drops of oil before storing to minimize rust. – pack metal items away from goods that may be stained such as furniture. – wrap silver in non-acid tissue paper or plastic bags can help reduce tarnishing. – wipe chrome or cast iron with a little machine oil to help retard rust. – ensure all of your electronic equipment is clean and dry before storing. – make sure items above or on top of electronic equipment will not fall or damage the surfaces. – make sure all white goods (refrigerators and freezers) are empty, clean and dry before storing. – leave the doors slightly ajar as to prevent mold and mildew. – it is best not to store other items inside of items as it can damage the interior. The Xtra Storage Companies have been providing the best value in air-conditioned self-storage spaces for over 30 years. We pride ourselves on every-day low prices, no extra fees, and are friendly to our clients! We’re a self-storage company but look at ourselves as an extension of your home. Come by for a cup of coffee and a tour — if you would like to learn more about our rates or the sizes of our units, please give us a call today at (305) 677-1483. We offer small storage spaces that would be perfect for a few boxes if you’d like to clear out some dinnerware etc. !